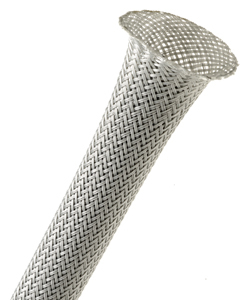 By adjusting the physical characteristics of the polyethylene terepthalate filaments, the engineers at Techflex have produced a product with the same specifications as our PET sleeving with the unique advantage of being able to cut the material with ordinary scissors and still maintain an extraordinarily fray-resistant end without the addition of chemical binders or adhesives. 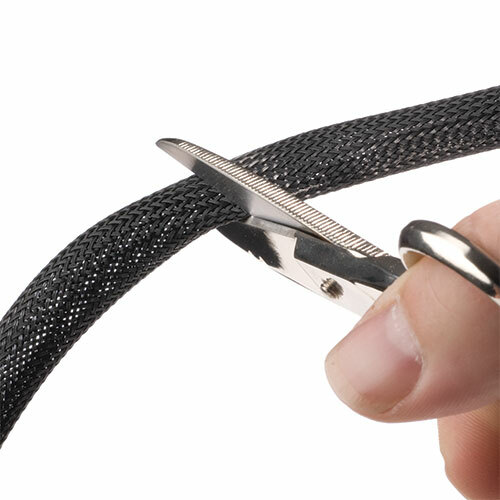 Flexo Clean Cut is ideal for field installers and other situations where access to a hot knife is impossible. 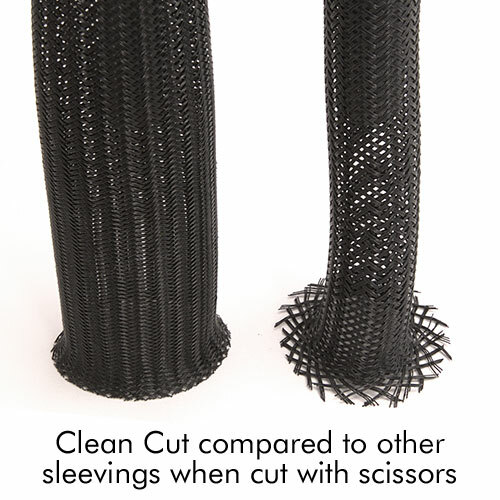 Clean Cut's fray resistant properties allows frequent expansion of the cut end without unraveling. When cut with a hot knife, Clean Cut produces a clean, smooth and virtually frayless end. Clean Cut is braided for maximum coverage while still allowing enough expansion for easy installation over plugs and connectors. Verzending is per bestelling €5,00. Bij bestelling boven €50,- is de verzending gratis. Uw bestelling wordt binnen 3 tot 7 werkdagen bezorgd! Heeft u spoed, laat het ons dan weten! Wilt u een Offerte ? Ga hiervoor naar onze contactpagina.